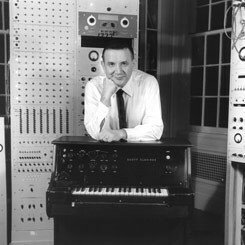 This feature-length documentary is a comprehensive exploration of the life of musician/inventor Raymond Scott, directed by Scott's son Stan Warnow. In the 1930s Scott invented "cartoon soundtracks,” recording music with his jazz band tailor-made to reflect the action on screen (in a similar way to the soundtracks written for the famous Tom and Jerry capers). From swing music to electronica, Scott's music could be heard in films, television and radio in a career that spanned most of the 20th century. Deconstructing Dad is filled with Scott's utterly original music, in a cinematic tapestry that interweaves family photos, home movies, film, television and cartoon excerpts. Interviewees include legendary film composer John Williams, Mark Mothersbaugh of Devo, Dutch musician and record producer Gert-Jan Blom, Moog synthesizer co-inventor Herb Deutsch, other Scott devotees, colleagues and relatives.